Covering societies from classical times to the twenty-first century, Gender in World History is a fascinating exploration of what happens to established ideas about men, women, and gender roles when different cultural systems come into contact. The book breaks new ground to facilitate a consistent approach to gender in a world history context. engagement with recent work on gender history and theory. With truly global coverage, this book enables students to understand how gender roles have varied across the world and over time, and the vital role of gender in structuring social and political relationships. Providing a succinct, current overview of the history of gender throughout the world, Gender in World History remains essential reading for students of world history. 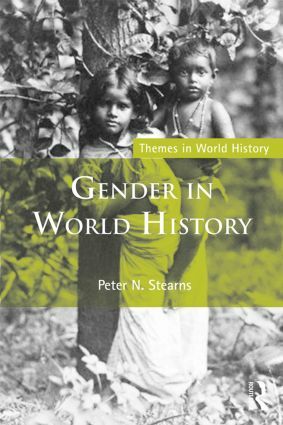 "By continuing to focus on the intersections of gender and contact, the third edition of Peter Stearns’ Gender and World History provides a solid framework for students and teachers alike to understand the complexities of gender in the longue durée of world history. At the same time, it offers concrete examples of how lived experiences of men and women affect social, political and cultural relations of power the world over. This edition provides an engaging new chapter on Latin America and benefits greatly from a slightly adjusted organization and key enhancements to a number of the chapters. Stearns’ text remains a thorough and eminently accessible resource for students engaged with the themes of gender and world history." Peter N. Stearns is Provost Emeritus and Professor of History at George Mason University. He is the author of many books, including World History: The Basics, and The Industrial Revolution in World History. The Themes in World History series provides exciting, new and wide-ranging surveys of the important themes of world history. Each theme is examined over a broad period of time allowing analysis of continuities and change, and introduces students to historians' methods and debates in their context.